Joey Bosa is a very good football player. He has good strength along the defensive line as he uses it to stop the run and rush the passer. He uses a variety of pass rush moves and can beat the offensive tackle inside and out. 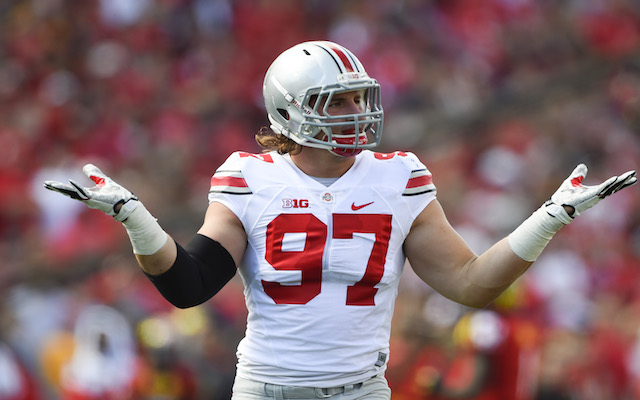 Joey Bosa is a solid player, but there is a question on how high the ceiling is for him. It is very close between him and Shaq Lawson. Across the board Bosa is a solid defensive end, but the lack of elite athleticism is a major question. Bosa fits best as a 4-3 defensive end in the NFL.